2015 changed the order of employment of foreign citizens. If informed they needed a work permit, but now some categories of migrants are required to provide patent. Recent changes in legislation do not cancel the work permit. 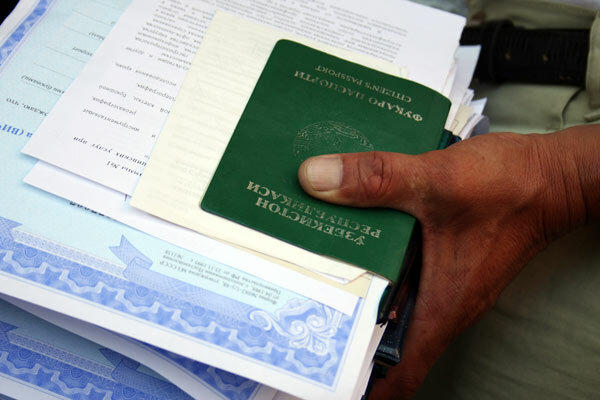 They are still required to provide all foreigners coming from countries with which Russia operates a visa regime. The patent applies to citizens of Azerbaijan, Armenia, Moldova, Kyrgyzstan, Tajikistan, Uzbekistan, Ukraine. On the basis of migrants can legally register to work. Importantly, the patent was designed to work at legal entities. VHI, obtained from a Russian insurance company. A patent should issue to the employee, the employer does not participate in this process. A patent is valid only in the territory of one region in which it is received. This means that you will not be able to employ a worker in Moscow on a patent issued in the Tula region. Within three days after the conclusion of labor or civil law contract with foreign employer is obliged to notify FMS about it. This can be done in person or by sending the appropriate form in the mail. The same time allocated on the notice of dismissal of a foreign worker. Workers for obtaining a patent are required to pay personal income tax for each month for which it is issued. The size of the personal income tax in each region of Russia is different. An employer who is a tax agent, should reduce the transfer tax on the amount paid by the migrant in advance. But first you should contact the FNS, where to get permission for the reduction and the amount of the paid advance.